Paying off student debt may be dragging down your daily finances now, but there's more bad news: it's also going to shortchange your retirement. How much? Each additional dollar in student loan debt decreases your retirement savings by 35 cents, according to a new report from researchers at Morningstar who crunched data from the Federal Reserve. For someone with $100,000 in student debt, that's a $35,000 setback. The relationship holds true no matter how old you are or how much money you're earning, the report found. For many, the deed is done. At least one person in about 20% of U.S. households has a student loan, up from 10% since 1992. 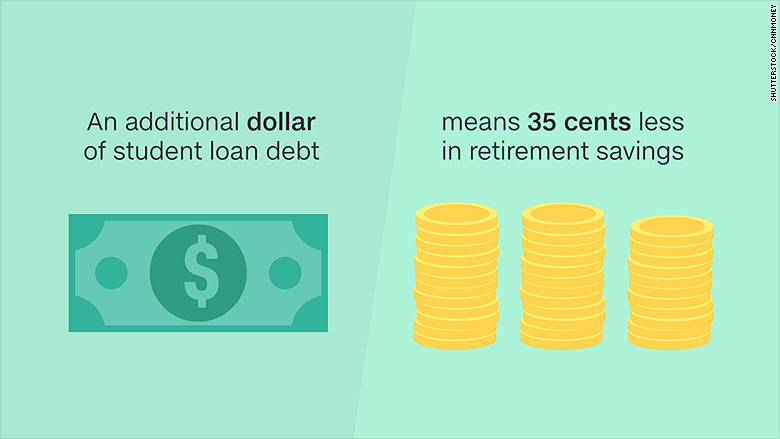 The average loan amount is now $27,300 -- which would take a $9,550 bite out of retirement savings, according to the report. But those already saddled with student debt can do something now that will make a difference: save for retirement before trying to pay down your debt faster. Of course, you want to pay your student loan bills first -- and on time. But, according to the report, it doesn't make sense to put any extra money toward paying down your loan early. 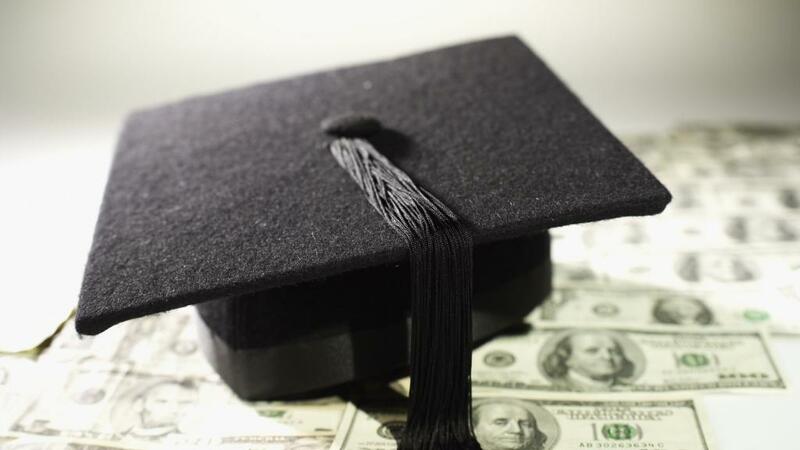 "There are very few circumstances in which paying off a student loan ahead of schedule with funds that would otherwise be saved in an employer-sponsored retirement account leads to a higher net wealth at retirement," the researchers wrote. There are a couple reasons for this. One is compounding interest. It's much more valuable to save your next dollar in your 401(k) when you're younger when it can grow over the next 30 years or so. If your employer matches the contribution you make to your 401(k), that's another reason you'd want to use any extra money to at least take advantage of the full match. "This provides a return on investment for those dollars that cannot be matched by investment returns or by paying off loans ahead of schedule," researchers wrote.